Whether you choose a conversion van based on the Ford Transit or the Ram ProMaster, you will find yourself with more than one engine to choose from. The Ford Transit offers either a 3.7-liter V6 with 275 horsepower and torque of 260 pound-feet or a 310-horsepower, 400-pound-foot 3.5-liter V6. The Ram ProMaster lets you choose from a 3.6-liter V6 with 280 horsepower plus 260 pound-feet of torque or a 3.0-liter turbo-diesel with 295 pound-feet. In other words, the V6 engines are fairly comparable, although the Ram has a slight edge in terms of horsepower. 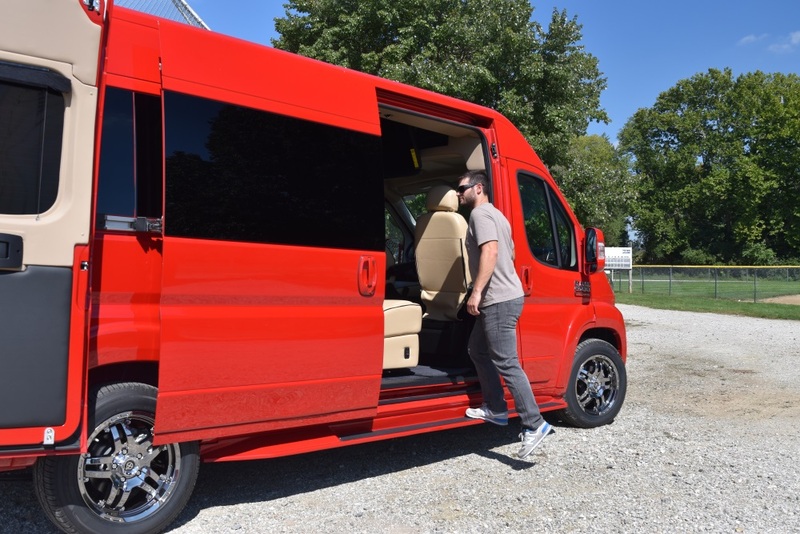 The Transit does not have a turbo-diesel option, but it does offer a turbocharged engine with up to 400 pound-feet, the most you will get from either van. By contrast, the Ram will appeal to those who want a conversion van with a diesel engine. Those concerned about hauling and towing should keep in mind that numerous factors impact the ratings of each van. The manufacturer’s figures for both the Ford Transit and Ram ProMaster will be affected by how it is converted and the weight of that conversion. The Ford Transit has the lead in terms of towing capacity with up to 7,500 pounds compared to 5,100 pounds. The Ram makes up for it with a lead in terms of payload capacity, offering 5,160 pounds compared to 4,560 pounds in the Ford. It is also worth noting that the Ford Transit uses a rear-wheel drive, which is widely considered the standard configuration for a conversion van. The Ram ProMaster, in contrast, uses a front-wheel drive, standing out from the crowd. Another noteworthy point is that the Ram ProMaster has the best-in-class turning radius of just 36 feet. A great deal of the interior comparison aspects between the Ford Transit conversion van and Ram conversion van will depend on the specific conversion that you choose. The Ram ProMaster starts off with the best-in-class interior height, giving it an advantage over the Ford Transit. This best-in-class interior height is 6 feet and 4 inches. The Ford Transit can come already set up with 12 or 15-passenger seating, giving the conversion van plenty of seating to work with. While the Ram ProMaster can offer similar seating, most conversions of the van offer either seven or nine seats, giving each passenger some additional space. Another key point inside the van is the entertainment system, both for the driver and the passengers. Once again, much of the passenger amenities related to entertainment depend on the conversion you choose. Both Ford and Ram offer great tech and connectivity for the driver. In Ford, this is via the available SYNC 3 system, which is responsive and simple to use. It features voice-activation and has a user-friendly interface, complete with a navigation system. A highly convenient feature is FordPass, for which there is no Ram equivalent. This is an application that lets you access information about the conversion van, find parking, use FordPay, and more. The interior of the Ram ProMaster also has a great command and infotainment center in the form of the available Uconnect 3 NAV with navigation, hands-free calling, integrated voice command, and Bluetooth Streaming Audio. Both vans come standard with plenty of safety features. The Transit has expected features as well as a new side-wind stabilization to help with stabilization when driving in high winds. It also has power-assisted steering and the ability to sync with your phone to call for assistance automatically following air-bag deployment. The Ram ProMaster is similarly equipped with air bags for the side, front, and side curtains. It also always comes with a rearview camera. Remember that there is no right answer as to which conversion van to go for as it will be different for everyone. 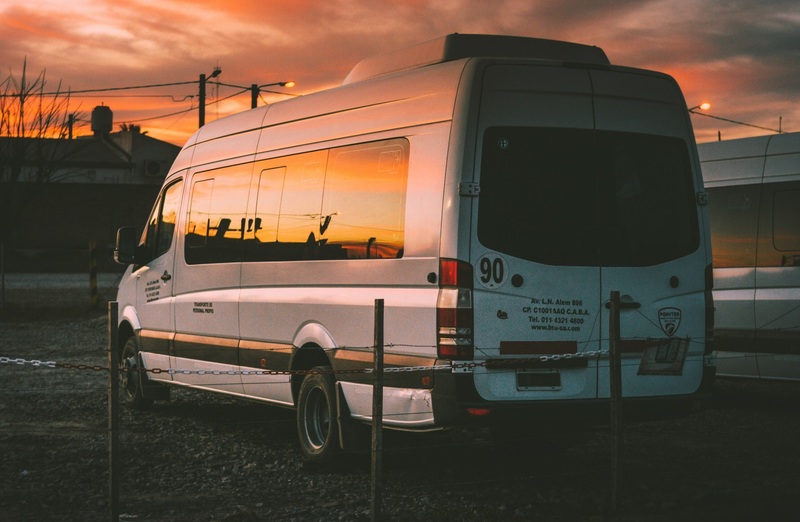 If you still need help deciding between a Ford Transit conversion van and a Ram conversion van, let our team guide you through some other differences or check out our inventory to see some specific models available.